The progress report on David Neves should include words such as exemplary! There is a long standing argument in improvisational music that the best education is obtained by mileage, playing on stage. 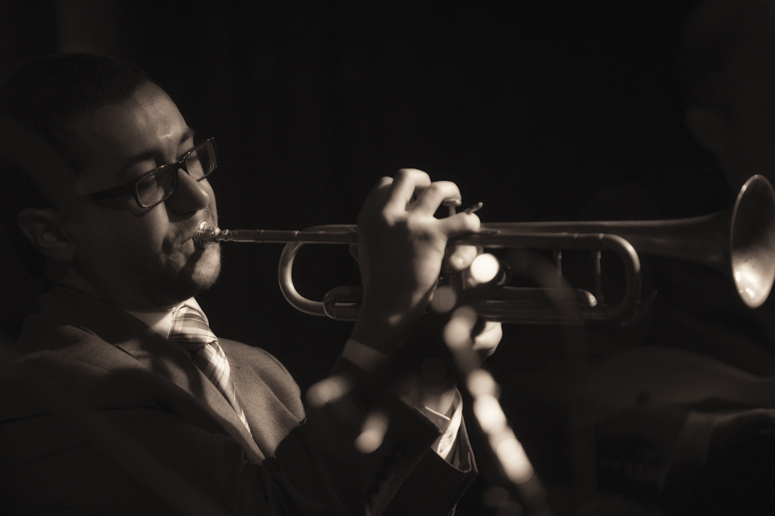 Trumpet phenom David Neves obtained his education from Berklee and The New England Conservatory and seems to be adjusting just fine. The trumpet field is crowded to say the least but room has to be made for this up and coming talent with compositional skills that are reminiscent of some early Tom Harrell while cutting his own unique harmonic path. Modern jazz just got a new shooter and Progress Report from David Neves is a showcase for an artist whose musical stock is an arrow pointing straight up! A warm yet vibrant tone, the soul of a lyrical poet. An A list band that checked their collective egos at the door gives an organic yet focused presentation of just where Neves may be heading on his musical adventure. “End of the Beginning” is a conversation that rolls with intensity and a precision that is rare for similar ensembles to approach. “April 14, 2013” allows tenor saxophonist Barclay Moffitt to take the lead before pianist Michael Sheens steps in with a Latin panache that is pure flavor. While vocals on what is expected to be a predominately instrumental release seem to crash and burn, the vocals from Naomi Gillies are memorable and she too may be another name to remember in this stellar collective.